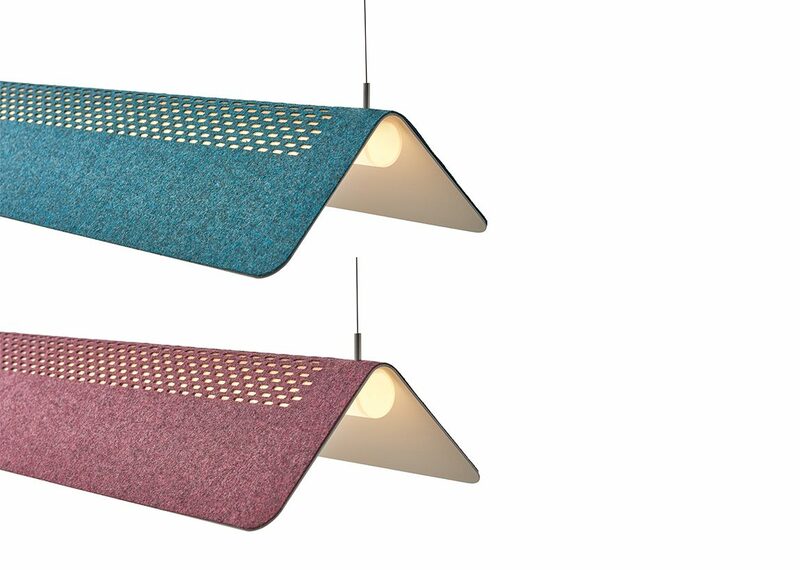 Flybye consists of a steel shade with a purposeful shape. The shade rests on a high-quality LED tube of warm, white light. The two elements together ensure functional, direct light of outstanding quality. Because the shade is perforated, the FlyBye also gives indirect light, which creates an even spread of light in the space. An ideal pendant light for above the dining table, working desk or a kitchen island. Available in white and black. The optional Kvadrat fabrics give the FlyBye a colour accent, and a slightly softer appearance when desired.